2013 is turning into a heady year for the gaming industry. Faced with the rapid development of online technology, and the way in which online modes of engagement have permeated almost every aspect of media culture, gaming had been proving itself to be rather resilient. Whilst the television and film industries have had to respond to the rise of online viewing by dramatically shifting their business models and distribution methods, gaming has remained relatively untroubled. An apparent alignment between gaming (interactive and always at the forefront of digital technological development) and the shift to greater agency that online access and digital distribution have afforded, has meant it has been weathering the digital revolution safely. Gaming texts have easily translated into online spaces, with the rise of massively multiplayer online games opening up new revenue streams and business plans for gaming companies as well as new, more socially oriented forms of gameplay. This year, however, has seen an increase in the schisms and tensions that have slowly been becoming more prominent within the mainstream games industry. Whilst format wars (Nintendo vs Sega, Microsoft vs Sony) have long been a key characteristic of the industry’s marketing and development, 2013 has seen potentially more damaging issues emerge in terms of the relationship between the games industry and its players. To a certain extent, gaming can be seen as facing it’s first moment on the ‘old media’ side of remediation. Newer forms of media and communication such as social networks, apps and mobile devices have seen radically new forms of gameplay and business models emerge through freemium social games, a form which has been greeted with some criticism and undermines the high price tags of console games. Recent games industry conferences and blogs have focused on the significant level of gender inequality both within the games industry and video games themselves, highlighting long held patterns of discrimination in terms of who is considered a ‘gamer’, something that has been directly linked to the changes in game forms and the persistent gender-based assumptions that ‘casual’ gamers are more likely to be female. So far these issues have focused on the game developers, those responsible for creating the texts of the gaming industry. The round of press launches and conferences that took place in Spring 2013, however, saw attention shift onto the hardware giants of the gaming industry. Nintendo’s attempt at a dual screen gaming console with the Wii U, which launched in Autumn 2012, has led to downright rejection from senior games developers and reports of low sales . Sony, so far, seem to faring well in the long-game tease of its Playstation 4. For Microsoft, however, the last two months has been a tumultuous period, with the primary culprit being their own strategy for shaping the future of gameplay. Within hours of their next generation Xbox One console’s launch on May 21st, the company was at the centre of a whirlpool of vitriolic responses across the internet. 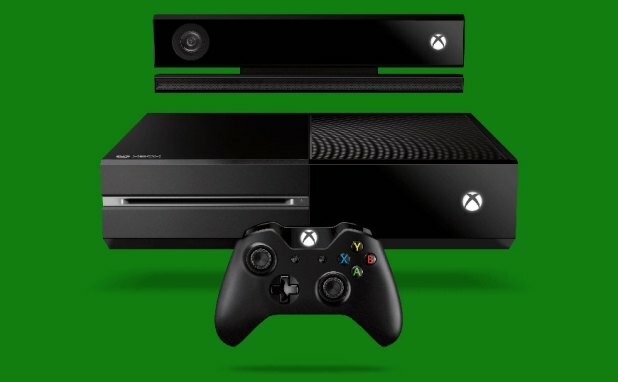 Examining the impact of the Xbox One launch (and Microsoft’s subsequent u-turn ) offers a microcosm for how the media industries are trying to deal with broader changes in the media ecology, and the shifts in the balance of agency between industry and audience that these changes are creating. Responses to the Xbox One launch raise issues relating to content ownership, the social dimensions of media, digital access, privacy, and the secondary lives of technologies. In short, many of the issues shaping both popular, industry and scholarly debates around film, television, music and the internet. The first issue identified in the numerous blogs and articles that criticised the Xbox One concerned the nature of console game market. With the costs of a videogame ranging from £15 to £40, and much of the pleasure of gaming coming from the discovery and satisfaction of a successful initial play through, rather than repeated playing as may be the case with film and television, the grey market of used game trading has become a core part of the gaming experience. The games industry itself has had a complex reaction to it. Whilst clearly of benefit to players, and facilitating word of mouth publicity for game developers, the economic benefits remain with the retailers. Estimates from the games industry put the used games market at £90 million in the last quarter of 2011, a figure that helps companies like retail shop GAME, but sees little economic benefit for game creators. Microsoft’s response with the Xbox One launch was to limit the ability of players to trade, exchange or gift their games, locking each purchased title to an individual machine. After the initial negative response, Microsoft changed their policy slightly to allow limited gifting of each title to a single friend so long as that ‘friendship’ had been registered with Microsoft for at least thirty days. Specially selected retailers would be able to trade in used games, but both policies would be at the discretion of the games publishers (those companies that the used game market most damages) and game rentals would be forbidden. In many ways this policy raises the importance of sharing within all branches of media culture. Of course gaming functions slightly differently from film and television (whilst households may have multiple DVD players, they are unlikely to have multiple versions of the same £400 games console). However, the shift towards digital distribution within the film, TV and music industries raises very similar questions about ownership and digital rights management. If I own a DVD I am able to lend or gift it to a friend, sell it on second hand or donate it to a charity shop if I should choose to do so. If I buy a copy via iTunes, however, I can only watch it on a certain number of machines and only then if I agree to input my personal password to them and link them to my iTunes account (and credit card). Although it turned out to be apocryphal, the rumour that Bruce Willis was investigating how to ensure that he could pass his iTunes music account onto his children raises key questions about how the rise of digital copies restricts notions of ownership and instead promotes a form of licensing in which our media texts ultimately never leave the ownership of the companies that create and distribute them. The attempt by Microsoft to ensure ownership (and so distribution) of content remains in the hands of the publishers and official distributors reveals a tension between the nature of digital content and the, until now, inherently shareable quality of media. Elsewhere I have discussed how the correlation between ‘illegal’ and ‘illegitimate’ forms of access in relation to television is not as clear cut as the media industry would like us to think and similar issues are raised here. As Rob Fahey points out in a blog for a major games industry website, there is a difference between technical, legal and industrial definitions of ownership and the reality of audiences with a box on their shelf – whilst the industry may have asserted ownership through the copyright notices forbidding public viewing or copying that accompany every hard copy, there is nothing physically stopping someone from doing either. The fact that media can be a key part of defining platonic and familial relationships has been well established, with television often taking centre stage is such debates. However, what is implicit, but often not explicitly acknowledged, in these debates is the sharing culture that goes alongside this. If someone wishes to be a part of the social dimension of television or film viewing, it may very well be that a friend will act as a distributor for them, providing them with access to content as part of a circuit of distribution that potentially has little benefit to the industry. The desire to share media is found in digital distribution networks most visibly via piracy but also in the sharing of passwords to online accounts, as Max Dawson and Chuck Tryon explore in their research into the sharing of Netflix passwords by college students in the US. On the one hand, the media industries are addressing the perceived desires and expectations of audiences to be able to share access to content the household has purchased with each other, and to be able to exploit the ability to access on multiple devices. On the other hand, for console manufacturers, this sharing culture shifts part of gaming’s economy away from their key industrial partners, the games developers. At their initial launch, at least, Microsoft chose to restrict the shareability of games and maintain control over its wider economic benefits. 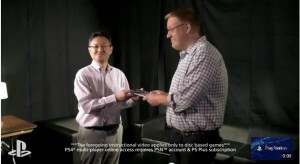 Incidentally, Sony, in a move of calculated marketing brilliance, gave themselves a boost in the 8th generation battle with a video explaining their comparative policy on sharing used games: you take the game disc and hand it to a friend. However, if the efforts to curb the grey market of used games indicates that the publishers and manufacturers are claiming a position of greater power in the games marketplace, the Xbox One’s other highly criticised features demonstrate topical debates over the consequences of leading an increasingly online life. These coalesced around two already established components of console gaming generally, and the Xbox specifically: internet connectivity and the Kinect interface. At the launch event Microsoft revealed that the Xbox One would need a constant internet connection in order to work (something they later reduced to the ability to be? connected once every 24 hours). This constant connectively, at least in the UK, is familiar, though perhaps not highly acknowledged. Sky and Virgin boxes both require a constant internet connection in order to facilitate software and EPG downloads and, of course, to allow for the gathering of viewing data. However, that doesn’t prevent it highlighting the assumptions about digital access that it implies. Microsoft’s policy simplistically equates game playing with not only the economic means to ensure strong broadband service, but also the infrastructural means. Both hinder the choice of who can become a gamer, especially in light of recent problems with the UK’s rural broadband scheme. Perhaps even more controversial was the launch’s revelation that the always-connected Xbox One would also require connection to a Kinect sensor, Microsoft’s ‘controller’ free interface in which a camera reads the player’s body and moves the onscreen avatar accordingly. The Kinect connection would allow users to operate the console via voice control with the command ‘Xbox On’. Critics were quick to point out the flaw in Microsoft’s plan. If the Xbox could be turned on via voice recognition, that meant that the Kinect’s microphone was always on, and always listening to conversations in the privacy of the player’s home. The potential capability of the Kinect device (to recognise individuals even in the dark, record their voices) and the fact that the console would have a direct connection back to the Microsoft servers raised the impression that Microsoft would be able to eavesdrop on the private conversations and events within homes. Some reports even noted that there would be the potential to control access to the device based on the number of people the Kinect detects – too many individuals in the same room could potentially stop the device from working. Both Roger Silverstone and David Morley have explore ‘second lives’ of technologies and the ways in which audiences can make use of technologies in ways that their original designers didn’t intend. This can be seen in the appropriation of the internet in the early 2000s by audiences as a distribution network for film and television content, a development unforeseen by the film and TV industry and heavily resisted. However, whilst such examples of second life focus on how audiences or users reappropriate technology and so exert power over them (and deny technological determinists), the Xbox One criticism highlights the potential for technology to carry an indigenous second life, the ability for consumers to identify these second lives, and the conflict that can then result. I’m currently working on a research project, funded by the University of Nottingham’s Horizon Digital Economy Hub, that is interested in exploring how second screen technology is being used in relation to the television set. In order to see what people actually do, rather than what they say they do, we’ve been trying to get behavioural data through cameras placed in participant’s living room. The process has revealed not only the difficulties of getting participants to do such intensive research, but our own working through of ethical concerns in comparison to the industry’s. In speaking to industry partners and researching current industry methods, there seems to be little consideration of what data should be gathered on audiences. Nielsen’s internet panel scheme uses a simple piece software to track an individual’s movements across the web but is somewhat vague about it what it collects. As the recent reports surrounding the US and UK governments’ involvement in the Prism data scraping scheme indicate, issues around the privacy and security of online data are becoming increasingly fundamental to daily life. The greater agency for audiences over access that online distribution offers is consistently being balanced with a sacrificing of personal data (from viewing patterns to demographic information what someone is prepared to pay money for) in return for anytime, anywhere access. Responses to the Xbox One launch, made this exchange within a media context momentarily more visible, but it’s presence within both industrial and governmental systems is far from new. So what does the Xbox One launch and fall out tell us about the nature of the media industries more broadly in an increasingly digital ecology? The evolution of all media industries have, to a greater or lesser extent, involved the negotiation of agency between an industry that wants to keep it and an audience that wants more of it. The emergence of illegal pirate networks were a demonstration of audiences taking greater control over where and when they accessed content, be it film, television or music. The strict controls (such as releasing content via dispersed windows) that distributors put in place to manage the global flow of content were broken down by audiences able to gain access to that content and manipulate the internet to carry it. Successive industry and government policies including DRM, the 2010 Digital Economy Act (UK), PIPA and SOPA (US) and the development of legitimate online services all sought to renegotiate or limit the amount of control audiences have over media content. The film, TV and music industries ultimately ceded a (small) amount of agency back to the audience, embracing the greater choice that digital and online technologies facilitated, though naturally on terms that do not prove too destructive to them. It now seems it’s the game industry’s turn to figure out how much control it should (or has to) give its players. With the Xbox One, the medium that has traditionally been considered more ‘interactive’ and encouraging a more ‘active’ audience tried to curb that agency and place more control of the circulation and use of gaming texts in industrial hands. Initially at least, Microsoft’s response was the opposite of where older media have finally reached, closing down choice and limiting the pleasures of shared culture. Simultaneously, their attempts at gathering more and more data from users put them in a position where they can be perceived as invading the privacy of the home. Both of these choices put Microsoft in direct conflict with their audience and that audience’s response was potentially so damaging to its position in the console battle with Sony that one month later they were forced to perform a radical u-turn on the entire policy. It appears that, for now, the audience has won, but questions still remain over how ownership, privacy and agency will evolve in an increasingly connected, non-material media landscape.